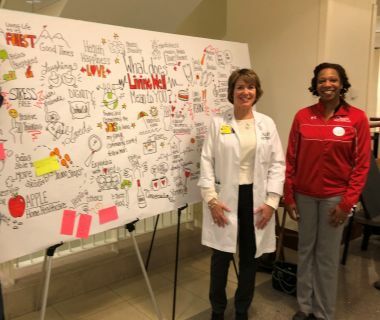 April 16, 2018 marked the 11th annual National Healthcare Decision Day. This nationwide annual initiative is dedicated to sharing information about advanced care planning and encouraging people to start the advanced care planning process with their loved ones. 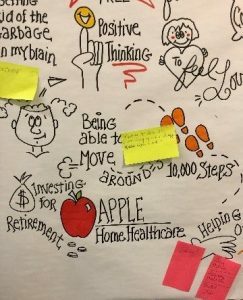 Apple Home Healthcare was happy to sponsor the National Healthcare Decision Day event at Northwestern Memorial Hospital in support of this important initiative. Advance Care Planning is making future healthcare decisions about the care you want to receive if you were unable to speak for yourself. These decisions are based on your personal values, preferences, and discussions with your loved ones. If you were in a situation where you could no longer communicate your wishes, who would speak for you? And would they know what your wishes are? These important choices should be discussed and communicated to family, friends and healthcare providers. In honor of this important day, here are 6 statistics to know about the current state of healthcare decision making, as presented by patient engagement technology provider Emmi Solutions. Only 20 percent of Americans have an advanced directive documenting their wishes for end-of-life medical care. 60 percent of Americans would like their end-of-life preferences followed. More than one-third of physicians are not able to accurately predict patient end-of-life wishes. 88 percent of patients who do have an advanced directive did not receive any input from their physicians on it. Just 44 percent of patients who discuss end-of-life care with their provider complete an advance directive. Those who did not complete an advance directive cited reasons of lack of familiarity (60 percent), belief they are too young or healthy (14 percent) or the uncertainty of using them (11 percent). Having a conversation, openly and honestly, before a medical crisis happens puts everyone on the same page about what matters to you at the end of life. Making your wishes known in advance relieves your loved ones and healthcare providers from having to guess what you would want if you were ever to face a health care crisis. Help raise awareness on the importance of advance care planning. First and foremost, lead by example! After you have thoughtfully considered and made your own healthcare decisions known, share your experience with friends and family. Visit NHDD.org for ideas on ways to start the conversation with others. For guidance on this important step in preparing for future healthcare decisions, please give Apple a call at (773)871-8700 or email us at info@applehhc.com.